Pvt. Senola Rollins, attended Tipton high School. Entered Air Corps in July, 1943, trained in Buckley Field, Colo., Santa Anita, Cal. 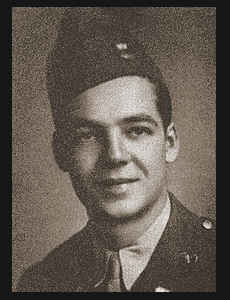 ; went overseas in April, 1944; served in Corsica, France and Italy, where he is now on duty. Awarded EAME Ribbon with two Battle Stars.